Mothers have historically been the primary caregivers over children, but fathers’ rights have been increasing overtime. 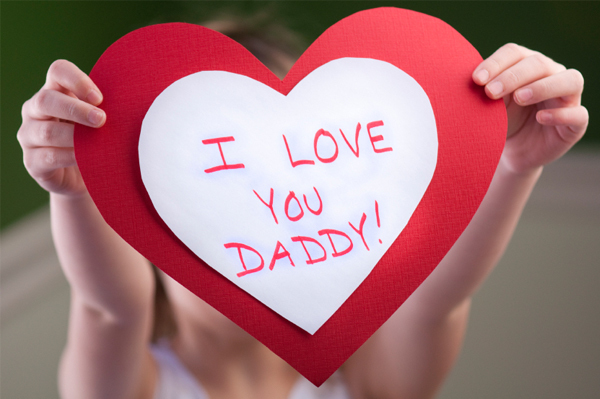 If you are a father and want to gain custody, the first thing you need to do is establish paternity. Establishing paternity ensures your rights as a Father to a parent-child relationship. What are Common Ways a Father Can Establish Paternity? The easiest way to establish paternity is by signing the birth certificate. Most states assume a husband is the father if the child is born during marriage. If the parties are unmarried, some states will not allow the father’s name on the birth certificate until paternity is established by other means. In that case, the father can sign what’s generally called a paternity statement. In cases when a mother is contesting a father’s paternity, a father can file a complaint with the court and a DNA test can be done via order of the court. Once paternity is established, the father’s rights are solidified and he can file for custody rights. How Can a Father Gain Custody of His Child? The primary custodial parent has the most time. For example, Mother has the child 60% of the time and Father has the child 40% of the time. Mother would be considered the primary custodial parent. This doesn’t mean Father doesn’t have legal decision-making rights, it just means Father does not have primary physical custody of the child. The easiest way a father can gain custody is to come to an agreement with the mother. Quite often it isn’t always that easy. Which means, the father will have to file a motion with the court requesting to establish a child custody agreement. How Do Fathers Overcome the Bias that Mothers are the Better Custodians? Some states have laws that award primary custody to mothers based on the child’s age. Even in states that don’t have such laws, some judges may assume that young children are better off with their mothers. For instance, infants are often placed primarily with mothers. Many states are becoming more progressive towards fathers’ rights. If you’re in a county where you can pick which court your case is filed, it’s a good idea to seek advice from a local attorney, as they will likely know which judges are sympathetic to fathers. The most important thing a father can do is spend as much time with the child as possible. Courts always assume it’s in the best interests of the child to be with both parents. But, if a mother is fighting the father for custody, a court will take a closer look at what’s in the best interests of the child and examine each parent’s interactions with the child. Who spends the majority of the time with the child? Is Father the parent always at work? Which parent gets the child on/off the bus? Does Father help the child with homework? Who takes the child to his/her appointments? Does Father participate in the child’s activities? Bob and Martha want a divorce. Martha is a stay-at-home mom, while Bob often works into late hours of the night, but usually makes it home in time to tuck the child in bed. Martha gets the child ready for school, makes breakfast, gets the child off the bus, and takes the child to activities and appointments. Bob plays golf on the weekends with his friends. Tom and Nancy decide they want a divorce. Nancy is a stay-at-home mom while Tom works full-time. Tom comes home to have dinner with the child and helps with homework. Tom attends all extra-curricular activities and spends as much time with the child on the weekends. Nancy gets the child ready for school, makes the child breakfast, gets the child off the bus, and takes the child to all appointments. Bill and Susan decide they want a divorce. Both parents work full time and both parents spend roughly the same amount of time with the child. Which father do you think has the best chance of getting custody? The answer is Bill. He spends the most amount of time with his child and shares roughly 50% of the responsibility, which means he has an equal footing ground with Susan. Bob is the least likely to win because he doesn’t make much effort. It gets a lot trickier in Tom and Nancy’s case because, although Nancy spends more time with the child, Tom makes a significant effort while he is not at work. Tom has a pretty high chance of overcoming the normal stigmas against fathers. Ultimately, regardless of the state, it always comes down to the best interests of the child. There’s no secret formula. As long as a father is making every effort to exercise his rights, it will be much easier to overcome any bias in favor of the mother.